Northants Basketball Club runs Junior Basketball Programmes for boys and girls aged 4 to 18, and a Senior Men’s & Senior Women’s team too. 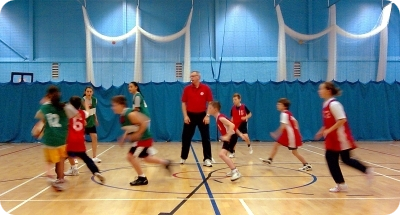 All these teams practice and play in our dedicated £2m Basketball Centre at Northampton School for Girls. Our venue houses two full-size courts alongside each other and a show court with adjacent spectator seating. The court floor is constructed from sprung wood and all the baskets have heavy duty snap-back rings mounted on Perspex backboards. There are sufficient changing facilities to accommodate a large number of players. You are welcome to visit the basketball centre during training sessions or match days, to take a look around and see how we operate. Up to the age of 12, our players compete at local level in mixed gender teams. 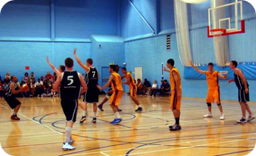 Thereafter the club runs male and female teams competing in England Basketball’s Junior & Senior National League competitions. We hold the Sport England - England Basketball “Clubmark” and have accomplished 4 star England Basketball Accredited Club Status. Our aim is to provide high quality training, coaching and playing facilities for youngsters in Northamptonshire, promoting equal opportunities within the programme for participation by all sections of the community. We have an Executive Committee, elected by the club members, to oversee the running of the club. We love basketball; if you’re interested in joining us we’d love to hear from YOU – why not send us a message on our club contact form?